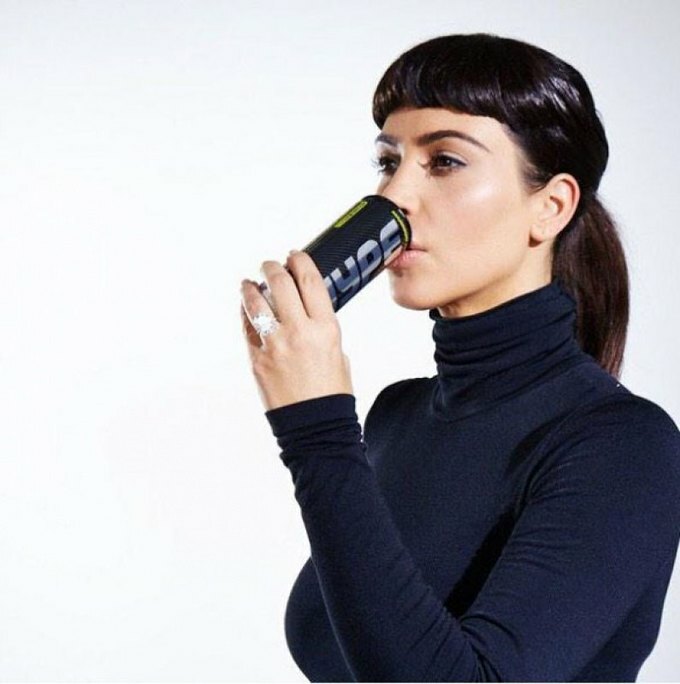 Kim Kardashian West has launched a new energy drink line, Hype Energy. Her campaign, in which she poses wearing slick futuristic styles on a white background, echoes the aesthetics of electronic experimental pop collective PC Music. In particular, Kardashian seems to be biting the style and message of QT, a New York-based performance artist and a member of PC Music who started her own energy drink line. Even Kim's bangs have taken on a clipped, QT-esque look. However, Kim K's Marie Antoinette-referencing video doesn't seem to go along with the cyborg vibe. 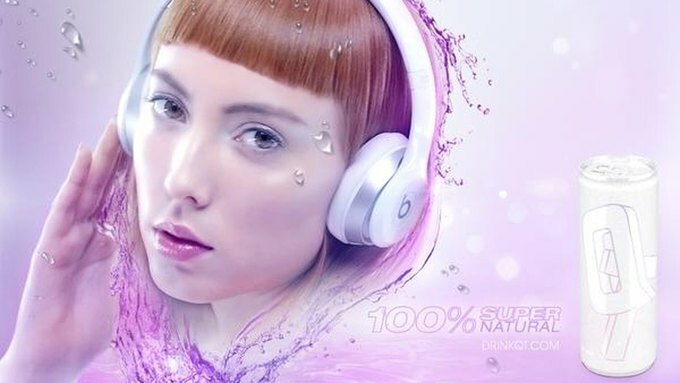 PC Music member SOPHIE recently had their song "Lemonade" placed in a McDonalds commercial. Yesterday, pop artist LIZ released her video for the SOPHIE-produced "When I Rule The World."